Everybody remembers their first games console; from a battered old Commodore Amiga for the thirty-somethings, to a state of the art PS4 for the kids. No matter how you got started in gaming we're pretty sure that you'd remember your first console if you built the damn thing yourself, and then coded your first game. That's just what kids today can say, if they get one of the DIY Gamer Kits from Technology Will Save Us. We did, and this is what we thought of it. So... what is it? Well, this kit (which comes either pre-soldered, or for bit less cash requires you to do the soldering yourself) contains everything you need to build your own hand-held gaming console. The most important part of the kit is an Arduino Uno, a micro computer which is a smaller and simpler version of a Raspberry Pi (which we reviewed as part of the Kano kit). As well as that the kit also contains the control board of the console, complete with buttons, a speaker, and LEDs, as well as the bright orange plastic case and plastic screws to hold it all together. We were sent the pre-soldered kit as it required merely plugging all the parts into each other to create the gamer. 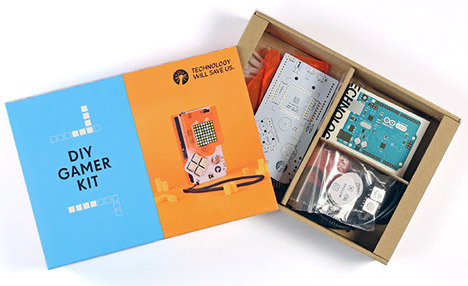 The un-soldered kit would need you to carefully solder all the buttons and connectors together – something waaaaay outside of our comfort zone – but the Technology Will Save Us website offers some great advice and tutorials on this. Still, that's an important consideration when purchasing one of these kits. Connect up a 9V battery (the only part of the unit not included in the box) and you'll find that you can play a very simplified version of Flappy Bird straight away. 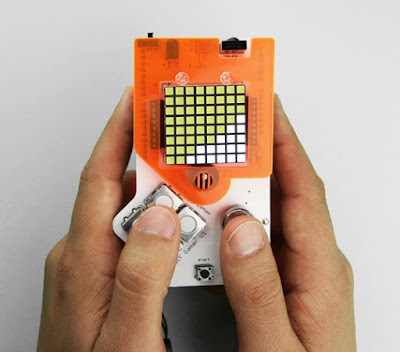 Playing on the DIY Gamer Kit feels very natural, especially if you have any experience of the original Nintendo Gameboy. But once you get bored of that, what to do next? This is where you need the included USB cable and your laptop. 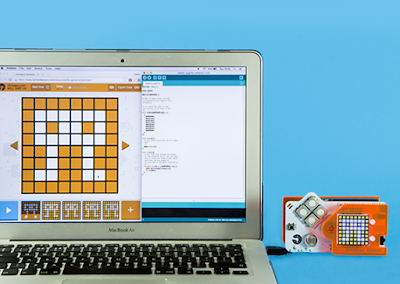 TWSU instruct you to download the Arduino software; a very simple and unobtrusive programme from which your coding career will sprout. Again, the TWSU website came up trumps with lots of helpful hints on how the Arduino software works, and they even have simple web-based applications that let you 'draw' images and create animations – the code from which can then be copied into the Arduino programme and uploaded to your DIY Gamer. Pre-coded games such as snake are available to upload to your console, as are simple bits of code to scroll editable text, and also make random shapes which you can then move around the LED matrix screen using the cursor buttons. Everything can be altered to your liking because the base code of each action is sitting right there before you, and editing something can be as easy as changing a 0 to a 1. But that's not all. The DIY Gamer circuit board also has a few other interesting features. You'll become a lot more familiar with these components if you solder your own kit, but there is also an infrared receiver and transmitter, and also a touch-capacitive button. The prior can be used to communicate with other DIY Gamer kits (like Gameboys could) but could also be programmed to act like an IR transmitter for other purposes. The touch-capacitive button is fun to use to change simple actions in the games you make, but again could be programmed via the Arduino for a multitude of tasks. These little extras, along with a bright LED, the beeper speaker, and of course that 8 x 8 LED matrix, means you get a lot more than just a simple gaming platform. For retro gaming fans, this kit is great. 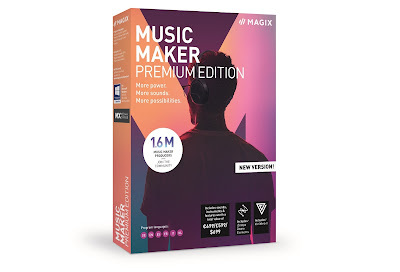 Not only will it give you an insight into simple electronics, but it will get you thinking about what kind of coding and programming goes into making a game. Much of the DIY Gamer Kit is something of a novelty; the scrolling text, the basic games, the bleeps and chirps from the speaker. However, these are the basics for a very good reason, as once you master these the sky truly is the limit. With user-friendly software from Arduino, and great support and community links from Technology Will Save Us, the DIY Gamer Kit is the perfect place to start.